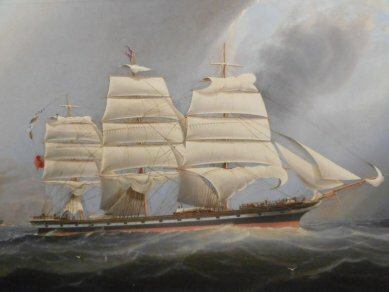 It is important to have your pictures and paintings, Irish, or otherwise, examined for an Insurance Valuation so that in the event of loss, proper compensation can be decided. 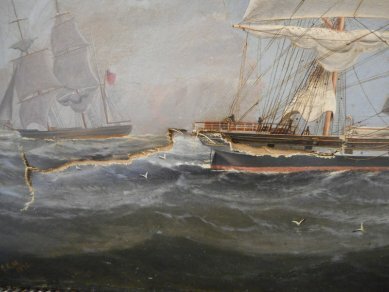 Remember too, that because a painting is old, needs cleaning, is damaged, and appears to be unsigned, does not mean that it is not worth having a proper Insurance Valuation carried out. This applies to all Irish, English and European Oil Paintings, whether an oil on Canvas , card or oil on panel or even oil on paper. All Irish, English and European Watercolours on paper and card, and indeed some limited edition prints. It could be a painting in chalk, coloured crayon, on slate, on glass. The possibilites of having a valuable work of art are endless. Accurate Valuations of Art collections are essential in the case of a Valuation for probate or indeed family division. All Valuations can be conducted in either Belfast and Dublin Areas or indeed anywhere throughout Ireland. We can only carry out valuations on pieces that we have seen at first hand and can take an image to present with the valuation. We cannot give verbal valuations. Obviously, paintings by the Irish School of Painters of the 20th Century will be the least difficult as access to prices in Belfast, Dublin and London over the past years can be accessed for artists’ such as Conor, Craig, McKelvey, Wilks, Paul Henry, Yeats etc. Normally the valuation is based on sales made over the past three years. Moving back into the 19th Century, matters can become a little more difficult. Artists such as John Lavery, William Orpen, William John Leech, are not as plentiful as their 20th Century counterparts but still occur in sufficient numbers to make a judgement on value. When we move back again into the 18th/Early 19th Centuries, then a lot of other problems arise and in many cases there is much dispute regarding attributions, given that many works from this period are unsigned so sometimes academic sources have to be consulted for their opinions. James Arthur O’Conor, Stephen Catterson Smith, (senior and junior) Martin Cregan, Andrew Nicholl, Erskine Nicol, James Howard Burgess etc are only a small sample of the many Irish artists who worked in this period. If we move then beyond our own shores, we have all the British Artists from the periods mentioned above, the Italian Flemish, Dutch and French School of artists….and the 18th and 19th Century copies of all the 17th Century Masters come to mind. Valuing these has to be based on examination to determine age, and then on stylistic grounds and again perhaps engaging with recognised authorities on various artists and periods. That Rembrandt, Constable, Leonardo Di Vinci that we see regularly will be a copy (but who knows, maybe the next one will be genuine)! The other important matter is condition. A Markey Robinson eaten with woodworm will not be as saleable as one in prime condition, a Roderic O’Conor portrait where most of the face has been added due to earlier damage will be worth a fraction of one only worked on by the artist.